The Biology major provides students with a broad base for understanding principles governing life processes at all levels–molecular, cellular, organismal, and ecological. An evolutionary perspective guides all areas of the curriculum–development, behavior, physiology, genetics, and more. A student who places out of BIOL101 and/or BIOL102 (by passing the First Days placement exam) must still take nine BIOL courses to complete the BIOL major. The two courses CHEM 156 and 251 combined can be counted as one of the electives for the BIOL major. However, the College does not allow the same course to count toward fulfilling the requirements for two majors (“no double-counting”). This means that if you are a BIOL and CHEM major, you cannot count CHEM 156 and CHEM 251 as an elective toward the BIOL major. Some BIOL courses do not count toward the BIOL major (so-called “non-majors” courses) (for ex., BIOL 132, 133, and 134). Students can take research courses (BIOL297, 298, 493, or 494) for academic credit. In addition, students can carry out an off-campus research internship (BIOL 22 or a WSP99 project). Independent research is not required for completion of the major–however, students thinking of attending graduate school are strongly advised to pursue at least one semester of independent research. 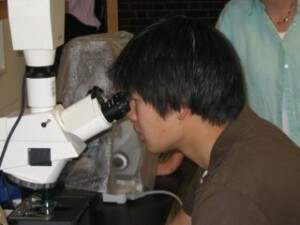 A research course can count as an elective; however, only one semester of research can count toward the nine courses required to complete the major. Research courses do not satisfy the 300- or 400-level requirements for the major. The Biology Major with Honors consists of 10 courses plus a required WSP course. In addition to the requirements listed above for the BIOL major, honors students carry out a year-long independent research project (by enrolling in BIOL 493, 031, and 494) that culminates in a written honors thesis. Majors are strongly advised to take two semesters of chemistry, a statistics course, calculus, and physics. Majors should take courses in related disciplines such as geosciences, chemistry, anthropology, cognitive science, neuroscience, mathematics, physics, bioinformatics, public health. Consider a concentration in an interdisciplinary program such as ENVI, NSCI, BIMO, Public Health, or other related programs in the sciences. Biology is the fundamental study of life and living systems. The educational goals of our curriculum foster student excitement about biology and promote science as a process and way of knowing, not merely content knowledge. We offer a strong foundation in biology to prepare for diverse and successful careers and to enrich our students’ lifelong engagement with the world, in all its diversity and complexity. We have framed the educational goals for our majors as six skills-based learning outcomes. Students will use an integrative approach that spans from molecular to ecosystem levels in order to understand the broader context of biological systems. Students will learn proficiency in reading, understanding and critically evaluating scientific literature across major areas of the curriculum. Students will learn to generate question-oriented hypotheses and models, to develop an experimental design, and to collect and analyze data. This includes the importance of a statistical sample, the meaning of statistical significance and how to apply statistical treatments to different data sets. Students will demonstrate the ability to work both collaboratively and independently on research. Students’ proficiency in research will include understanding a research topic and the methods that allow them to problem-solve and take ownership of a project. Students will be able to communicate their discoveries clearly and explicitly, both orally and in writing, following conventional scientific formats. Students will incorporate current and future societal and global challenges into their approach to biology.